This casement window from Thermotech Fiberglass has a foam-filled fiberglass frame. 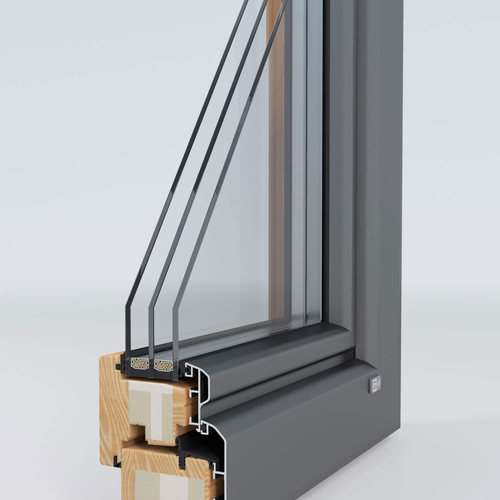 Thermotech offers a wide range of glazing options, including high-solar-gain triple glazing. We have been comparing two window options for EdgewaterHaus: German-manufactured Unilux windows, and Canadian-made windows from Thermotech Fiberglass. I’ll talk about Thermotech in this blog; a previous blog discussed our impressions of the Unilux windows. Thermotech gave us references for two homes, both in Belfast, Maine. That was convenient, as it allowed us to visit the Belfast Passive house built by G-O Logic, which is also the subject of a previous blog. The Thermotech windows were installed by different builders. 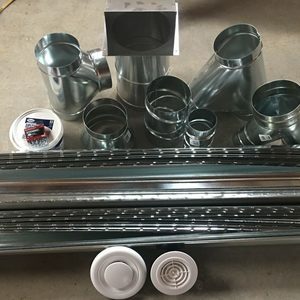 We were able to meet with both builders to get their impressions on the ease of installation, product quality, post installation performance, and any warranty issues that might have arisen. 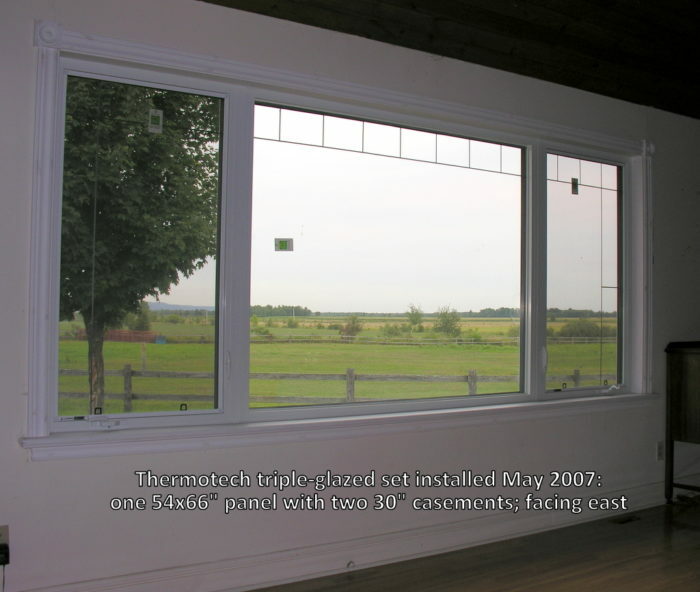 Both homes used Thermotech casement and fixed windows with triple-pane, argon-filled glazing with low-e coatings. One home also featured a Thermotech French door. All the windows had the standard white interior and exterior color. While windows made of wood, wood with aluminum or PVC exterior cladding, aluminum, and PVC windows are most common, the Thermotech windows are made of fiberglass, more precisely, pultruded fiberglass. “Pull who through” glass, you ask? Fiberglass is typically manufactured by pushing resin-impregnated fibers through a heated die. Pultruded fiberglass has a higher glass content and is instead pulled through the heated die. This pultrusion process gives the fiberglass much greater strength. 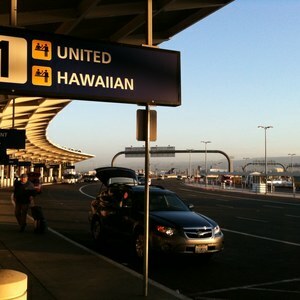 A durable exterior finish is added to provide protection from UV damage. I have read a number of articles in prominent magazines that tout protruded fiberglass as the ideal material for windows because of its inherent strength, low thermal conductivity, resistance to rot and insect damage. In addition, its rate of expansion when exposed to heat and contraction when exposed to cold is very similar to that of glass. So the seal between the glass and sash should remain airtight over time as both the fiberglass and glass expand and contract at the same rate. 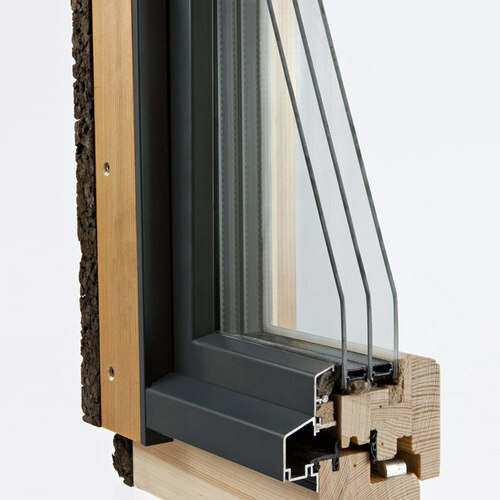 Thermotech’s informational brochure provides an excellent overview on high-performance windows. From a technical perspective, we found that Thermotech offers the highest SHGC glass (0.64) of the window manufacturers we considered. They attribute the high SHGC to the unique low-e coating they use, and the special way they apply the coating to the glazing. Glass surfaces (front and back) for triple-pane windows are numbered sequentially from the outside, with the outer pane having surfaces 1 and 2, the middle pane having surfaces 3 and 4, and the inner pane having surfaces 5 and 6. When outside the house you touch surface 1, and when inside the house you are touch surface number 6. Most low-e coatings are applied on surfaces 2 and 5. Thermotech applies the coating on surfaces 3 and 5, which Thermotech explains allows the first argon-filled chamber to get hotter, which enhances the SHGC. Physics aside, high SHGC south-facing glass is a crucial factor in Passive Houses, as the windows need to facilitate solar heat gain to warm the home during the day, but must also resist heat losses during the night. A 3:1 net heat gain vs. loss is needed. Enough techno-babble. What did we think of the windows? After opening and closing several units, studying the fit and finish from the inside and the outside, feeling the hardware, talking to the builders on how easy they were installed, we concluded that the Thermotech windows are solid and well engineered. One window was delivered with a slight glazing imperfection, and another was damaged in transit due to poor packing for shipment. Thermotech promptly replaced both units. We noticed that the windows opened easily but were a bit more reluctant to close. One builder pointed out how the top mullion on the fixed unit did not align with the adjacent venting unit. Yep, but that’s pretty subtle! The only blemish we noticed was on a couple of windows installed a few years ago. The paint on the bracket that cinches the venting sash to the frame had worn off on these units, and the exposed metal bracket had some surface rust. There are no nearby Thermotech distributors, so the builders have dealt directly with Thermotech in Ottawa, Canada. At a cost of $83 per square foot, the Thermotech windows combine high performance at a budget-friendlier price that the Unilux. We would be comfortable using the Thermotech windows. Still, the Thermotech windows just don’t look as classy as the Unilux with its baked on aluminum exterior cladding, furniture-quality solid-wood finish on the interior, and heavy-duty door hinges. The standard white color of the Thermotech window makes it look like a cheaper PVC window. It would add about $11,000 to custom color the fiberglass and add an interior wood veneer, negating much of the Thermotech cost advantage. The quality of the hardware on the Unilux appears sturdier than that on the Thermotech. As a hefty tilt/turn window, the Unilux opens and closes easily on its beefy hinges. Our architect, Chris Briley, discovered last week that Unilux offers an optional higher SHGC glazing (0.61 vs. standard 0.50). (As an aside, it would have saved a substantial number of billable hours from our architect and energy consultant if we had been told at the outset that Unilux offers direct glazing and higher SHGC glazing options for optimal performance). 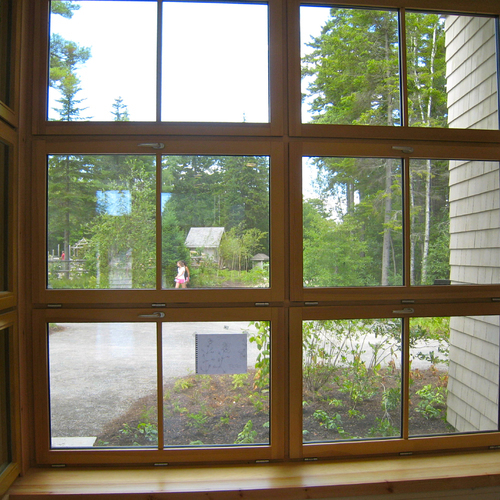 Are the window specs good enough for a Passivhaus? We have asked Marc Rosenbaum, our energy consultant, to see if EdgewaterHaus can meet the Passivhaus standard using Unilux with direct glazing on mulled units and the 0.61 SHGC glazing in the Passive House Planning Package(PHPP) energy model. If so, perhaps we can negotiate a more budget-friendly price for the Unilux windows. 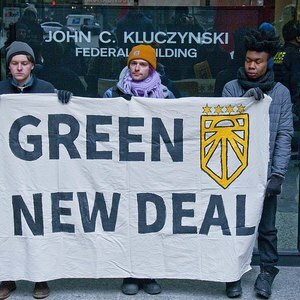 If not, we will use the Thermotech windows. I had six double-glazed windows installed by Thermotech in late 1997. We were happy with the service and performance, so had quite a few more (both double- and triple-glazed), plus two of their fiberglass doors and a sliding patio door installed as part of a more substantial renovation in 2007. The house is located in Quebec, and experiences extremes of temperature (-35C to +35C), with frequent strong winds from the west. Five of the six 1997 windows have a fixed lower pane (~36x46") with an awning-style opening at the top (~15" high); the 6th is an awning style ~41x41". Two of the smaller awnings on our west side get full sun with no shades behind them, and now have moisture between the panes. 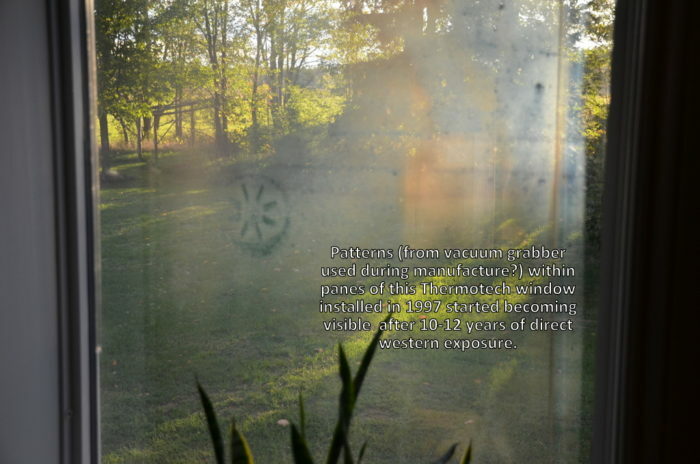 The window most exposed to heat and sun now also shows marks on an inside surface; probably from vaccum grabbers used during manufacture. The same design facing south and east get no direct sun, with no moisture buildup or inside marks. The fiberglass has held up well on all windows, but small vent caps added to hide the installation screws were made of a different material, and have deteriorated completely on the western exposure windows. The newer windows (and doors) vary in size and style, but we have been very happy with them so far. We opted for triple-glazed windows, in a mix of casement and fixed panes. All windows have decorative lead detailing on the outer panes. One set is quite large, with a 54x66" panel with a 30" casement on either side (picture). This is in a room we use regularly in the winter, and people regularly remark about how it doesn't seem cold near the large window despite extremely cold temperatures and wind outside. Thermotech seemed to have improved the finishing details considerably for the newer windows, with more solid hardware and much improved screen detailing. In the early models, insects were able to get through the gap for the locking and opening mechanisms; this is no longer possible in the newer models. The new windows were installed on new walls (vs brick openings for the 1997 ones), and a quite different tabbed mounting was used. 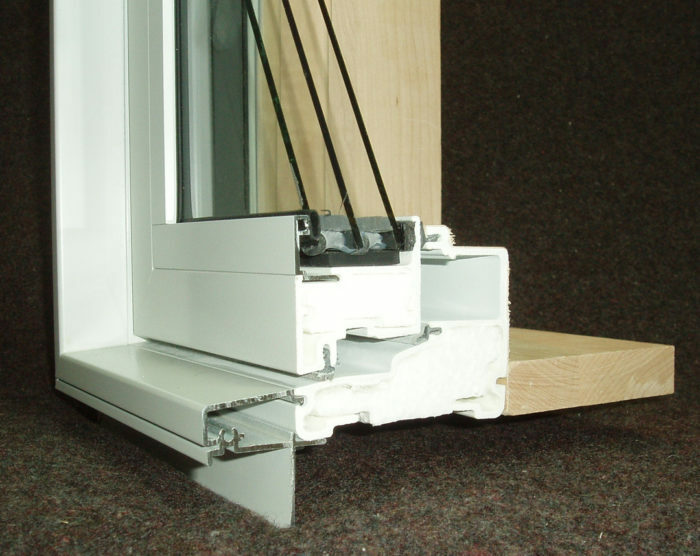 The 2 doors have double-pane inserts, and use a European-style 3-latch locking mechanism. The fiberglass is much more flexible than steel or wood, so without the 3 latches engaged you can easily push the door in from the frame. However, the latches engage smoothly and provide the needed stabilization -- and are much more secure. You need to lift the handle to engage the latches, so it does take a bit to get used to. The company is only ~50kms away from us and we had very good and responsive service directly from the manufacturer. 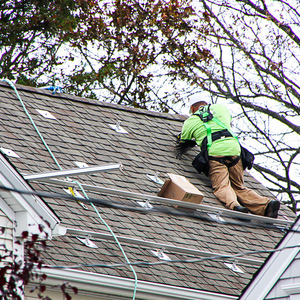 Their window prices were higher, but competitive installation charges kept them in the ballpark compared to other alternatives. 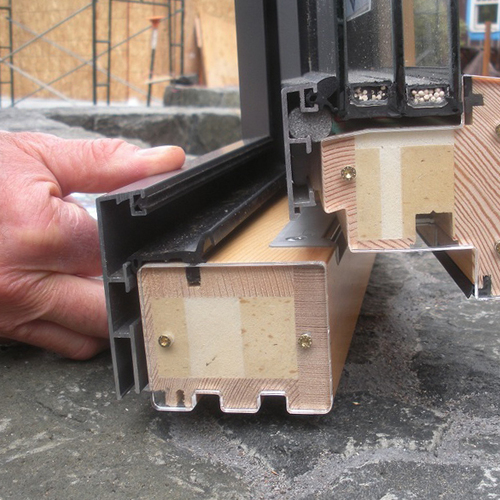 For anyone using an installer not used to the lighter frames, I'd recommend being on site to ensure that they strictly follow Thermotech's instructions: the side tabs are different to ones I've seen on wood and aluminum windows being installed at friend's places. Because of the more flexible frames, I suspect that small variances off flat could cause problems with the mechanisms. However, all of our windows open and close easily, and the locking mechanisms work well even when there is some ice in the seals. Overall we're quite satisfied with the windows and doors. I have no way to measure their efficiency objectively, but if you put your finger next to the edge of a triple-glazed panel when it is -35C outside, you barely notice the cold. We have never seen frost buildup on the edges like we frequently do with the few remaining non-Thermotech windows that use an aluminum spacer between the glazing. When these few remaining windows need to be replaced, we will definitely choose Thermotech again.